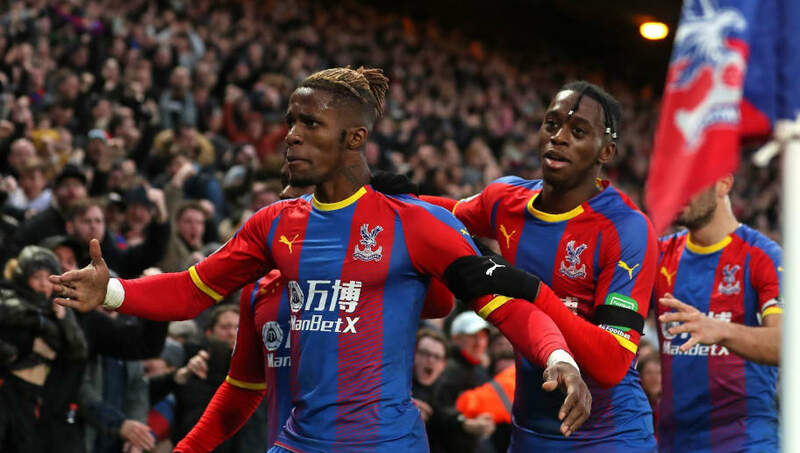 Chelsea and Manchester United have been put on red alert after Crystal Palace manager Roy Hodgson admitted that both Wilfried Zaha and Aaron Wan-Bissaka could leave the club this summer. The ​Blues are currently facing a two-window transfer ban for violating the rules regarding the signing of foreign players under the age of 18 on 29 counts, but their appeal will be heard on Thursday April 11th, and they are still holding out hopes that the case will be either suspended or dropped. In light of this, they have been exploring potential signings this summer, with Wan-Bissaka emerging as a prime target, though they will face considerable competition from ​Arsenal, Manchester City and Manchester United. And, speaking on the rumours linking two of his players with an exit this summer, Palace manager Roy Hodgson, as quoted by the ​Mirror, admitted he could make no guarantees on their future, explaining: “We would be more than happy to keep them, but we just have to remain realistic and see what happens. “If offers come in they will obviously be assessed, like everything else.  "I cannot complain about the fans. We have to give them something to enjoy on the pitch." ​​Rumours linking Zaha with a return to Manchester four years after he left the club following his failed £11m move in 2013 have heated up in recent days, and former Palace manager Ian Holloway was adamant that he would succeed if he returned to the ​Red Devils. Speaking to ​talkSport, Holloway explained: “I’ve never worked with someone as talented as him. It was always about putting those pieces together. When you’ve got the amount of skill Wilfried has, it’s about when to use it. If they’re going to go to a 4-4-2, they should definitely sign him."